The latest release of Dynamics 365 App for Outlook, works with Dynamics 365 for Customer Engagement apps version 9.0 or later only. For a prior release that works with earlier versions of Dynamics 365 for Customer Engagement, see Deploy Dynamics 365 App for Outlook. 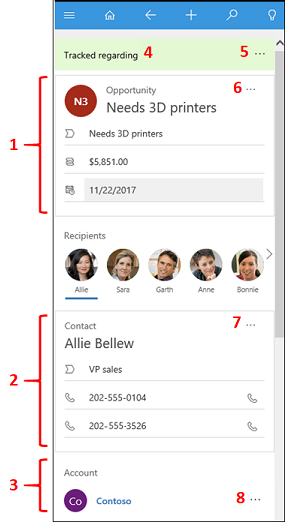 Use Dynamics 365 App for Outlook to tap the power of Customer Engagement while you’re using Outlook on the desktop, web, or phone. 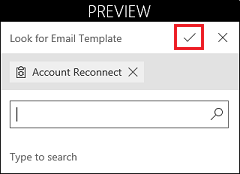 When Dynamics 365 App for Outlook is installed, depending on which version of the app you have installed, you'll see a Customer Engagement pane or window next to a selected Outlook email message, or when you're composing an email message or setting up a meeting or appointment. For example, when you open an email message, view information from Customer Engagement about the email recipients. Or with a single click, link an Outlook email message or appointment to a specific Customer Engagement record. When you link an email message or appointment to a Customer Engagement record, the Outlook record appears as an activity for that record in Customer Engagement. 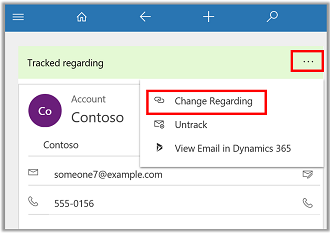 For known issues with this version of Dynamics 365 App for Outlook, see the Dynamics 365 for Customer Engagement apps Readme. For more information on FAQ's, see Frequently Asked Questions about Dynamics 365 App for Outlook. 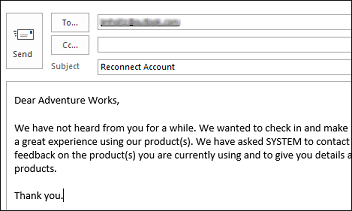 You have the Use Dynamics 365 App for Outlook security privilege. Your organization synchronizes mailboxes with server-side synchronization. For more information, and for information on supported devices, browsers, and Outlook versions, see Deploy Dynamics 365 App for Outlook. After the prerequisites have been met, you can add the app directly from Customer Engagement. Click the Settings button , and then click Apps for Customer Engagement. On the Apps for Customer Engagement page, under Dynamics 365 App for Outlook, click Dynamics 365 App for Outlook. If you have trouble installing the app, see the troubleshooting section in Deploy Dynamics 365 App for Outlook. 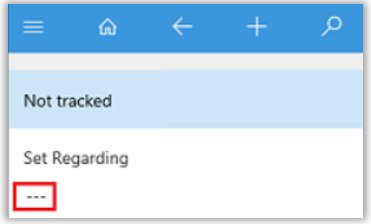 In Outlook, click File, and then click Manage Add-ins. 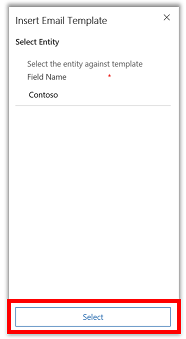 This opens the Office 365 dialog box where you can see all your Outlook add-ins. If you click the Customer Engagement row, you can see which Customer Engagement instance the app is connected to. To disable the app, in the Customer Engagement row, clear the Turned on check box. To remove the app, select the Customer Engagement row, and then click the Minus button. 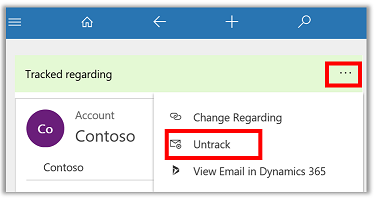 Set regarding Track and link the email or appointment to an existing record in Dynamics 365 for Customer Engagement apps. Tracking Create a copy of the email or appointment in Dynamics 365 for Customer Engagement apps. Select an existing email message in your Inbox, or create a new email message or appointment. On the ribbon, click the Customer Engagement button. In Outlook on the web, click the Customer Engagement button in the email pane. The Customer Engagement pane appears on the right side of the screen and shows information about the recipients. If the recipient isn’t known to Customer Engagement, click (+) and then select Add as contact or Add as lead. See: Add an email recipient as a contact or lead. Much has changed in the app for Dynamics 365 for Customer Engagement apps version 9.0. 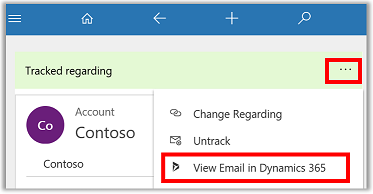 Here's what you see when you first open Dynamics 365 App for Outlook. The Customer Engagement pane appears under the menu bar and shows information about the recipients. 1 The Dynamics 365 for Customer Engagement apps record this email is linked to. 2 Summary information about the recipient. 3 Summary information about the recipient's account. 4 Shows if the email message or meeting is linked to a record and if it's being tracked. 5 Click to set or change linking and tracking. You can also choose to view your email in Dynamics 365 for Customer Engagement apps version 9.0. 6 Click to add an activity. 7 & 8 Click and then select Set Regarding to link to the record. 1 Your last activity with the recipient. 2 & 3 Recent records for the recipient. 4 Click for options related to list of activities. 5 Click for options related to the activity. The options vary by activity. 6 & 8 Click for options related to the list of records. 7 & 9 Click for options related to the record. Let's go over the individual elements in the menu bar. Choose Menu > Home > Dashboards to go to the main page. Choose Menu > Recent to see Favorites and recently used records. Choose Home to see the initial view. Choose Back to return to the last thing you viewed. 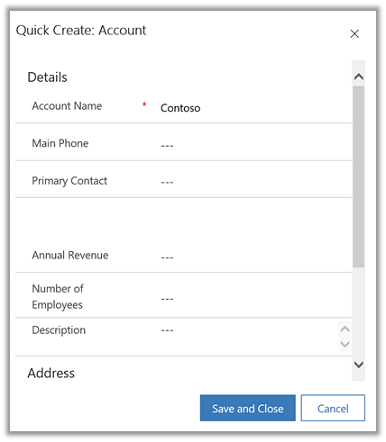 Choose Quick Create to create a new record such as an account or contact. Choose Search to search any Dynamics 365 for Customer Engagement apps records. Choose Insights to view the most important and relevant information in relation to what you are doing right now. 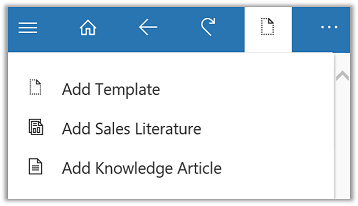 Choose Documents to add email templates, sales literature, or knowledge base articles. If you're running Outlook 2016 for Windows (click to run build 7668.2000 or later), App for Outlook will appear as a pinnable vertical taskpane to the right of an open message or appointment in Outlook. For more information, see Implement a pinnable taskpane in Outlook. One of the first things you might want to do when you receive a customer email, is add the person as a contact or lead to Customer Engagement. In the Customer Engagement pane, click (+) and then select Add as contact or Add as lead. If the sender of the email is unknown to Customer Engagement, when you add the contact or lead, the email is automatically tracked in Customer Engagement and set regarding this contact or lead. To stop tracking, you can manually untrack the regarding email. You can link an email message or meeting to a specific Customer Engagement record, such as an account, opportunity, or case. This also tracks the email or meeting in Customer Engagement. Create or select an email or meeting. Click the Customer Engagement button in the email pane. Enter search text. A list of related records appears. 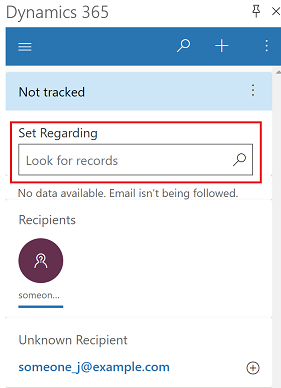 Use the left and right arrows to narrow search to cases, invoices, etc., and then select a record to automatically track the email or meeting, and link it to the record indicated in the Customer Engagement pane. Find the record to link in a list or using Search. In Tracked regarding, click (...) > Change Regarding. Use the left and right arrows to find related cases, invoices, etc., and then select a record to automatically track the email or meeting, and link it to the record indicated in the Customer Engagement pane. Click Quick Create, and then select the type of record you want to create. Fill in the information in the form. Find the linked record in a list or using Search. 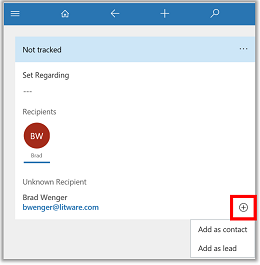 In Tracked regarding, click (...) > View email in Dynamics 365 for Customer Engagement apps. In Tracked regarding, click (...) > Untrack. 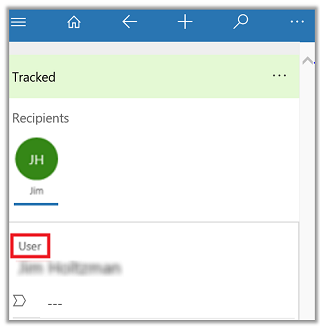 Dynamics 365 App for Outlook can track S/MIME signed emails in Outlook Desktop and Outlook Web App (OWA). This is enabled on Click-to-Run Outlook 2016 build 16.0.8730.1000 or later. To determine your Outlook version, go to File > Office Account > About Outlook. 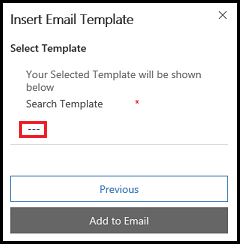 Create an email message and then follow the steps in Link an email message or meeting to a specific Dynamics 365 for Customer Engagement apps record. The relationship assistant is designed to deliver the most important and relevant information in relation to what you are doing right now. The assistant works by analyzing all of the data at its disposal and generating a collection of action cards, each of which includes a message summarizing what the card is about, plus a set of links for taking action. The assistant sorts the cards by priority and filters them for your current context. When you start your day by signing in to Dynamics 365 for Customer Engagement apps, the assistant draws your attention to your most important items and tasks, drawn from all areas of the application. To access the assistant, on the nav bar, click > Relationship Assistant. If you frequently send the same type of email, you can save time by using an email template. 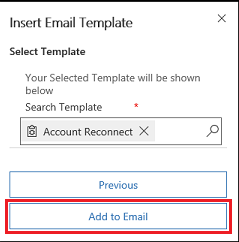 When you use an email template, Dynamics 365 App for Outlook automatically inserts the Customer Engagement information such as contacts or set regarding information in the email message. For example, you could use a Thank you template to save time whenever you want to send a thank you message to a customer. You must have the appropriate permissions to add email templates. Create an email message as you normally would in Outlook. At the top of the Customer Engagement pane, click Document > Add Template. Select the record type (entity). The default is the set regarding record. Then, click Select. Start a search for the template you want. Under Search Template, click (---). Search for and select the template you want. Accept the selected email template. Click Add to Email to add the template to your email. The template text appears in your email. For information on creating email templates in Customer Engagement, see Create templates for email. When you're working with a customer, you might want to send them some sales literature or a knowledge base article. You must have the appropriate permissions to add sales literature or knowledge base articles to an email message. At the top of the Customer Engagement pane, click Document. 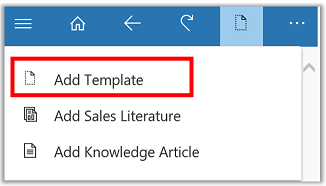 Select Add Sales Literature or Add Knowledge Article, and then follow the steps to add or insert the literature or article. For the record you have linked and are tracking, in Tracked regarding, click (...) > Add Activity. 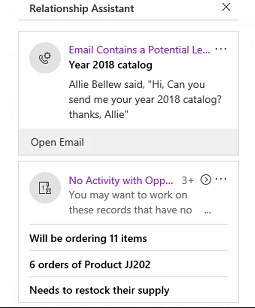 You can track Outlook contacts in Customer Engagement by using the Customer Engagement add-in, an Outlook solution module. 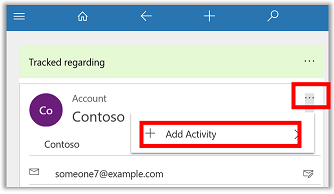 The add-in is automatically installed when you install Dynamics 365 App for Outlook. You can access it as described below. 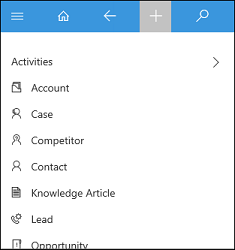 When the Customer Engagement add-in is installed, you’ll see a new Customer Engagement tab on the Outlook ribbon. Click the tab to see information about contacts. 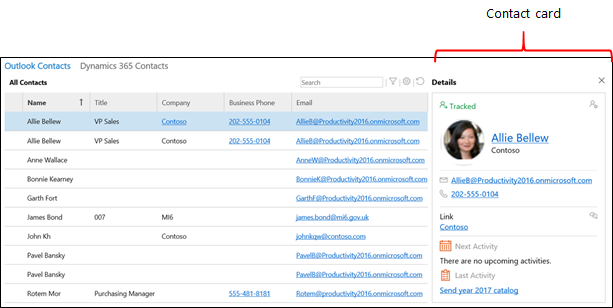 1 Click to see all your Outlook contacts (contacts displayed in your default contacts view in Customer Engagement). 2 Click to see all your Customer Engagement contacts. 3 See whether a contact is tracked or not, or whether tracking status is pending. 4 Open a Customer Engagement account record. To use the add-in your admin must enable your Customer Engagement mailbox for appointments, contacts, and tasks. In the lower-left corner of the Outlook window, click the Dynamics 365 for Customer Engagement apps add-in. In the contacts list, select the check box next to the contact. The contact details appear on the right side of the screen. Click the Outlook Contacts tab. In the contacts list, select the check box next to the appropriate contact(s). On the ribbon, click Track or Untrack. Do not navigate outside the page while tracking or untracking the contact. Otherwise, it won’t be tracked or untracked. You can’t select a contact listed under the Customer Engagement Contacts tab. In the contacts list, select the check box next to the appropriate contact. On the ribbon, click Link. On the right side of the screen, select the account to link to, and then click Link at the bottom of the screen. To create a new account, on the right side of the screen, click New at the bottom of the screen. Enter the new account name. If the contact isn’t already tracked, the contact will be tracked immediately and will be linked to the account. The account record will be synchronized in the next synchronization cycle. Click the Customer Engagement Contacts tab, or the Outlook Contacts tab, and then select the check box next to the appropriate contact(s). On the ribbon, click Email or Appointment. 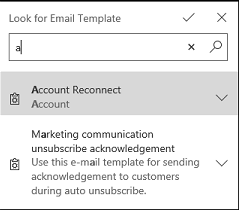 Regardless of which tab you selected in step 1, the email, task, or appointment will be sent from Outlook, not Customer Engagement. Enter a value in the search box. You can search for data stored in the Full name, Company, Department, and Business address fields. You can’t search for data stored in the Tracking status, Business phone, or Email fields. Click the arrow next to the view drop-down. 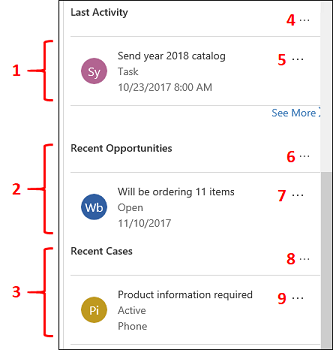 You can track appointments from another person in your Dynamics 365 for Customer Engagement apps organization using Dynamics 365 App for Outlook. To enable this capability, you need to enable the OrgDBOrgSetting in your organization. Dynamics 365 for Customer Engagement apps provides the OrgDBOrgSettings tool that gives administrators the ability to implement specific updates that were previously reserved for registry implementations. After extracting the tool, enable the OrgDBOrgSetting TrackAppointmentsFromNonOrganizer. You can also use this tool to edit the OrgDBOrgSetting TrackAppointmentsFromNonOrganizer. 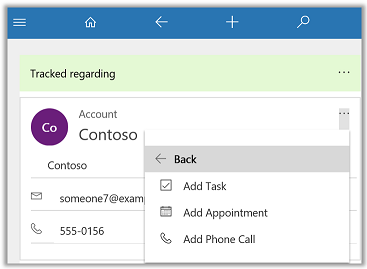 After the OrgDBOrgSetting is enabled, when you open Dynamics 365 App for Outlook on an appointment created by another user in your organization, you can track the appointment. You will no longer see the banner blocking you from tracking the calendar item. 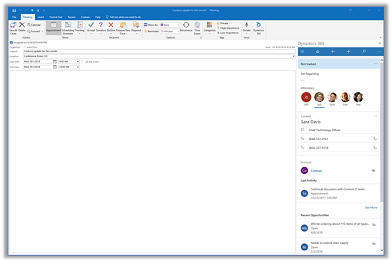 The Dynamics 365 App for Outlook tracks and synchronizes your mail and calendar data between Outlook (Exchange) and Dynamics 365 for Customer Engagement apps. 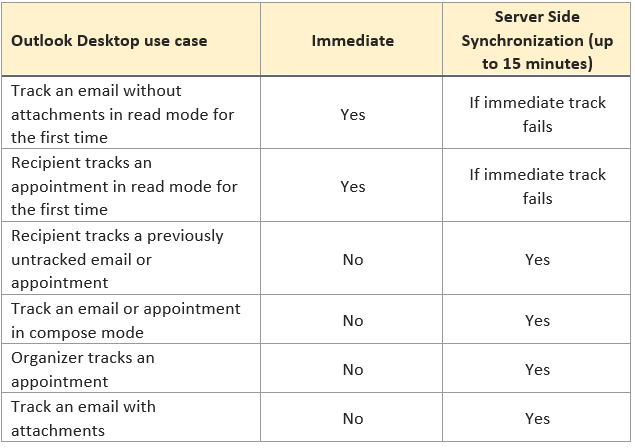 Server Side Synchronization is an asynchronous service that runs in the background approximately every 15 minutes to synchronize items between Exchange and Dynamics 365 for Customer Engagement apps. In most scenarios, the Outlook item is immediately created in Dynamics 365 for Customer Engagement apps. However, in some cases, Server Side Synchronization service is used to promote the item to Dynamics 365 for Customer Engagement apps and keep it synchronized, which may take up to 15 minutes. The below table provides a brief explainer of the behavior. Server Side Synchronization is used to promote emails when Microsoft Outlook includes images in email signatures as attachments. 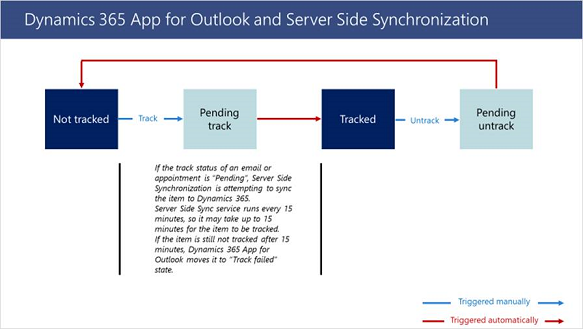 If the Dynamics 365 App for Outlook uses Server Side Synchronization to track an item to Dynamics 365 for Customer Engagement apps, the track status of the item will be “Pending”.